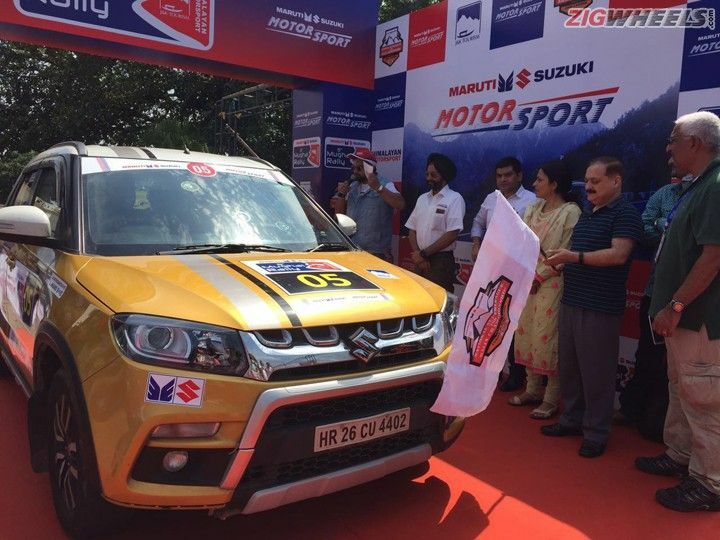 Maruti Suzuki India Limited has flagged off the Mughal Rally from Jammu, which will be held from today, 19th August to 22nd August. This rally is the fourth round of the 2016 Maruti Suzuki FMSCI National Super League TSD Rally Championship (MS-NStsdRC). With over fifty motor enthusiasts, the 2016 Mughal Rally has a lot of participation from the state of Jammu and Kashmir as well with an involvement of over fifteen local teams. The championship will begin and end in Jammu – the city of grand ancient temples, and will cross several locations near it. The Maruti Suzuki NStsd rally is open to all four-wheelers of any make and there is no prerequisite customisation required for the cars. The rally championship follows the TSD – Time-Speed-Distance – format, which is a highly popular rallying format that tests the skills of the driver and the navigator. Rallyists Karthick Maruthi and his navigator S. Shankar Anand, driving their Vitara Brezza, will be defending their lead in the Maruti Suzuki National Super League TSD rally championship, closely followed by Jagmeet Gill & his navigator Chandan Sen.